Substantive laws regulating land use and resources protection such as coastal, water quality, planning and zoning, subdivision and civil penalty statutes, as well as local coastal programs, general plans and local ordinances. Constitutional and statutory open meeting (“Brown Act”) requirements. Election laws governing local initiative and referendum processes. The firm’s social entrepreneur clients have ranged from a small company involved in the natural products industry to community activists. Angel Law likewise represents a set of clients involved in computer games and social networks (mobile, MMOs, social network games, etc.) with particular expertise in international parties and transactions. 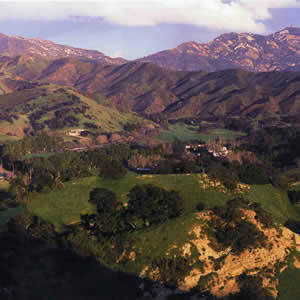 Angel Law's representation of Save Open Space Santa Monica Mountains, Inc., the Sierra Club and a local community organization in complex litigation culminated in two appellate victories that spearheaded public acquisition of King Gillette Ranch, the crown jewel of the 153,000-acre Santa Monica Mountains National Recreation Area.